Roger Federer and Andy Murray will take on each other in a repeat Final of the Wimbledon in the same Centre Court in the quest of an Olympics Gold Medal. With either winning will embark biggest victory of their careers. 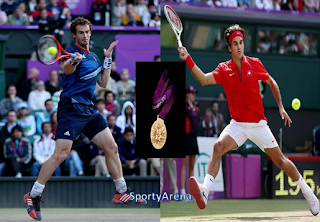 Federer will win a "Golden Slam" and British Murray will become the first player in British history to claim an Olympic Gold Medal , or in that case the first Olympic Medal.